We welcome women in all fields and endeavors—from women entrepreneurs and professionals to women simply wishing to explore, expand and enhance their lives and environments. Our membership includes Central Oregon business women in an array of fields including retail sales, health care, banking and finance, computing, marketing, printing, real estate, law, insurance, personnel and business services, writing and many more. Although we encourage referrals, we are a non-exclusive small business networking group. So women of similar, or even identical, industries can network and learn to grow their businesses side by side. At ConnectW, we’re all about mixing fun, business networking and business marketing with professional and personal growth. Through our innovative, inclusive programs, you’ll learn how to grow your business as well as your interpersonal skills, while maximizing your business opportunities. 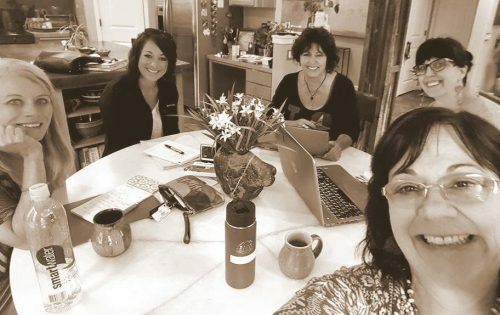 An independent, non-profit organization founded to encourage and support self-directed business women, ConnectW creates community by connecting and empowering women in business and in life. But we don’t stop there. We support and participate in our Central Oregon community by raising money and awareness for local nonprofits. Margaret Mead once said, “A small group of thoughtful people could change the world. Indeed, it’s the only thing that one ever has.” As we join together, we create a powerful feminine force to influence our business community, our cities and our world.